A article came out about an Egyptian cleric claiming that Mohammad will marry Mary, the mother of Jesus in heaven. Strange right. Well its nothing new. This has been around for many many years in Islamic writings. We know this just isn’t true, obviously. But what kind of spiritual implications does this have and when they say Mary, does that actually mean Mary the mother of Jesus? Well let’s look at what was actually said in the article first. And:… It has already been mentioned that one Qor’an-commentary takes “widowed” to mean Pharaoh’s wife Asiya and “virgin” to man Jesus’ mother Mary, and states that both will be married to the Prophet in heaven; since the Qor’an says nothing to this effect, the only significance of the statement is that it illustrates the mentality of the commentator. (Ibid., p. 144)” (http://www.answering-islam.org/Shamoun/mary.htm) According to this text, Mary is the Mother of Jesus. So did you catch that? 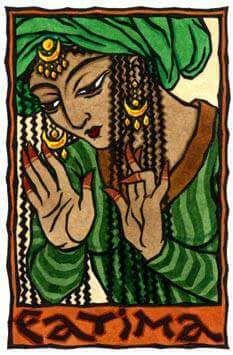 Fatima was considered divine in Islam and is associated to Sophia, the goddess of wisdom. Remember who invoked Sophia on January 20th at the Inauguration? (https://m.facebook.com/story.php?story_fbid=1088230114619873&id=519754571467433) We also see here that her worship resembled Marian worship and that one again, she was equal to Mary and has goddess status. One other thing that is very interesting is this. She was white, just like her father. Yes Mohammad was white and this is a fact from Islamic writings. Imagine that. I’ll try to write about him being white in the future. Fatima had married Ali ibn Abi Talib and this is where the Hashemites come from. 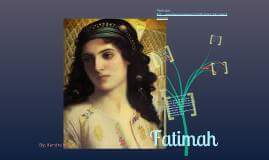 They claim direct lineage through Fatima to Mohammad. 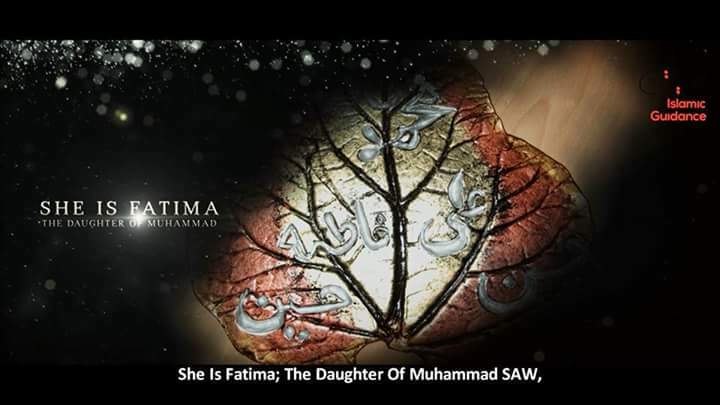 Fatima died 75 days (some say 90 days) after her father Mohammad died. She was 18 years and 75 days old when she died on August 7th (or 28th? ), 632 AD. She had four kids, 2 boys and 2 girls. So here is my thought. When these writings say that Mohammad will marry and have relations with Mary in heaven, just who is this woman representing? Is it Mary the mother of Jesus like they say or is it Fatima, his daughter? We have seen already that Fatima is equal to Mary and in some cases, even greater than Mary. If we read between the lines you then this is what you got. Mohammad (and this is according to this Egyptian cleric and their writings) who is going to marry “Mary”, the Queen of Heaven (according to Catholics), who showed up in the early 1900’s to three kids as an Marian apparition called Our Lady of Fatima. Remember, its the year of Fatima according to the Vatican and Fatima was also Mohammad’s daughter. So you got this dual Satanic inversion of the Osiris/Isis story but now it looks like a father/daughter and not a mother/son relationship. Which by the way, looks similar to a real life twisted relationship we are seeing now. I’ve wrote about this in December (https://m.facebook.com/story.php?story_fbid=1061907507252134&id=519754571467433 & https://m.facebook.com/story.php?story_fbid=1060428957399989&id=519754571467433). Who is the first lady for the first year for her fathers presidency? Oholibamah the Hittite is, Esau’s wife. And this is just speculation on my part about Trump and Ivanka, but I’m not the first person to think this and I won’t be the last. And don’t forget this. The Hashemites come from the Fatima line of Mohammad and we are seeing something happen on the third day of 5778 with Jupiter leaving the womb of Virgo for this false Rev 11 sign. So who’s trying to have a spiritual baby now? By the looks of it, Mohammad and Mary/Fatima? Fatima has nine names/titles: Fatima فاطمة, al-Siddiqa الصديقة (the truthful one), al-Mubaraka المباركة (the blessed one), al-Tahira الطاهرة (the pure one), al-Zakiyya الزكية (the chaste one), al-Radhiayya الرضية (the grateful one), al-Mardhiyya المرضية (the one who shall be pleased [on Judgment Day]), al-Muhaddatha المحدثة (the one, other than the Prophet, to whom an angel speaks) and al-Zahra الزهراء (the splendid one). So Islam wants to see both “mediators” to god make a connection. Kinda like two becoming one. 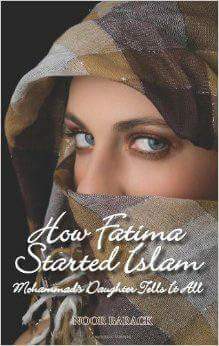 And read here how Fulton J. Sheen believed that Muslims will connect to Catholicism through Fatima (their Fatima, not Mohammads Fatima). (http://www.freerepublic.com/focus/f-news/562206/posts & http://www.ignatiusinsight.com/features2009/fsheen_maryandislam__jun09.asp & http://www.spiritualdirection.com/2015/05/16/fatima-mary-and-the-moslems) “In one of the most powerful Hadiths ( prophetic sayings of Muhammad) it is reported that Muhammad said, “Paradise is at the feet of the Mother”. Does this suggest that the feminine aspect of God is an important and essential pathway to the attainment of supreme consciousness?” (http://www.sol.com.au/kor/22_02.htm) This is all nothing but the occult “divine feminine” merging with a “god man”. Can you see it? So did you know that Princess Diana was called the Queen of Heaven and is now referred to as a goddess? Yep. No joke. And now her sons say the time is now to make a statue of her that will be unveiled by the end of the year. This goes right along with the Vatican proclaiming this year as the year of Fatima. Diana of Ephesus was an ancient goddess who also went by the name Artemis, Sophia, Columbia and Isis. She is known today as Mary and Fatima. These occultists are trying to invoke this spirit of Isis to bring back Osiris as Horus. It doesn’t matter what name they use, they are invoking the same demonic presence. They did it last year using the Arch of Triumph, they did it at Trumps inauguration and it went stop until they get what they want. I’m guessing around say, September, then they will get what they are asking for. Essentially they are invoking the feminine aspect of Lucifer by using symbols and sacrifices to come down to our level as a man. Read what is happening with Diana and this post will ties into the post above about Fatima, Muhammad’s daughter.